Aspect is a UK corporate clothing supplier, based in London specialising in customised workwear and PPE uniforms. Supplying our customers with embroidered polo shirts and screen printed t-shirts, polo shirts, rugby shirts fleece jackets, trousers and hospitality clothing. We have built our reputation by delivering on-time, every-time. Our customers depend on this! Our embroidering and printing is of the highest quality using the most modern equipment and the highest quality branded garments. Our service level is beyond what’s demanded by our major clients, including BAE Systems, CISCO, Thomas Cook, Sony, Guide Dogs for the Blind, London Transport, Samsung, BBC, Starbucks, GSK. We also supply branded workwear uniforms to smaller companies such as builders, transport and distribution companies, retail and garden centres, engineering, hospitality and caterers. 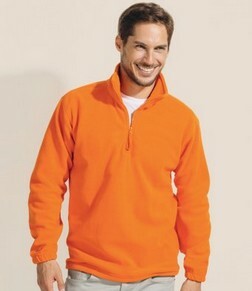 Branded fleece jackets and gilets in various colours and designs. Women's branded polos cut & styled with lighter colours & ladies sizes. Promotional ladies T-shirts – your logo printed or embroidered. Corporatewear mens shirts with or without your embroidered logo.